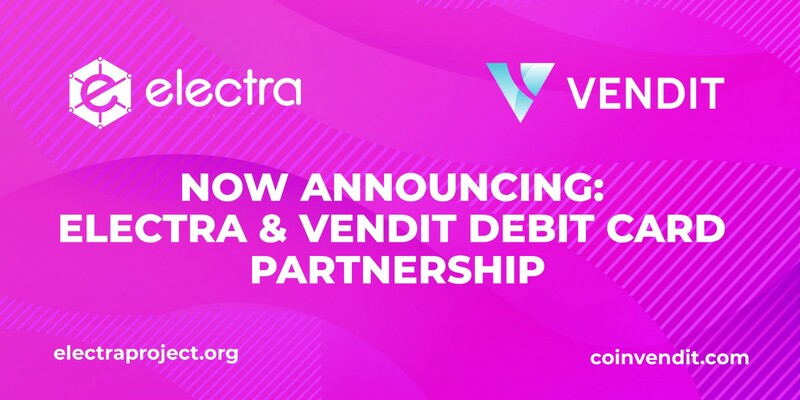 Electra recently partnered with VENDIT, a payment system developer that will provide instant access to a popular payment gateway network with a simple swipe of your Electra credit card. Globally, there are over 20 million merchants that accept this popular payment gateway network which will provide nearly endless opportunities for Electra’s use and mass adoption. VENDIT reduces traditional transaction fees to merchants so everyone wins. As Electra credit cards by VENDIT enter the marketplace merchants who are unfamiliar with Electra will process payments just as if a traditional credit card has been used. For these traditional transactions, the merchant will pay a traditional credit card fee of 2.5–3%. As merchants become more familiar with VENDIT, they can easily reduce their transaction fees to 1.25% with a VENDIT Point-of-Sale Terminal. Merchants can save up to 1.75% on each transaction and enjoy additional profits simply by accepting Electra credit cards by VENDIT. Electra is a cutting-edge digital currency providing secure blockchain technology, lightning fast transactions, cross-chain atomic swaps, mobile, and web payment options, as well as donation and social pay technologies. For more information about VENDIT, visit: coinvendit.com. Written by: Captain Ron Christopher, an investor in Electra.